There comes a time in every Saturn's life where things just aren't what they used to be. All of the gaming memories of yesteryear (or yesterday) are nowhere to be found. The system can only remember what happened moments ago. No, your Saturn doesn't have Alzheimer's. It's only a dead battery. One of the few systems to do so, the Saturn comes with a replaceable internal battery used to store saved game data. As with other batteries, eventually this one will wear out and any data saved on the system will be lost; new data won't be saved either. There's any easy fix, though: get a new battery. (Obviously, right?) 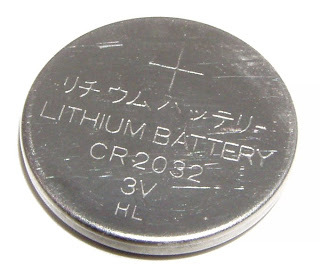 The Saturn uses a standard watch-size CR2032A battery - the same type that's found in the Dreamcast's VMUs. These are available at local drug stores and department stores. Or, you can even jack the VMU's battery if you want. Replacing the battery is an easy task. Pop open the hatch on the rear of the system and find the battery located inside. Take the old one out and drop the new one in, making sure that the positive (+) side stays up. Keep your Saturn plugged in. When the system is plugged in, it will draw a small amount of power from the electrical outlet and use that to keep the game data backed up. If the Saturn is unplugged, it'll use only juice from the battery instead. Use a quality battery. As with everything, some batteries are made better than others. A higher quality battery will last longer. Get a memory card. Inevitably, the battery will fail. Be prepared by saving your games to a memory card. The official Sega-licensed memory card is the best, as third party cards tend to damage the Saturn's cartridge connectors.